Airports of Thailand Plc will decide on Feb 20 whether to press ahead with the construction of a second terminal at Suvarnabhumi airport. Airports of Thailand (AoT) Plc will decide on 20th February 2019 whether to press ahead with the construction of a second terminal at Suvarnabhumi airport, its president Nitinai Sirismatthakarn said on Wednesday. The shelved 42-billion-baht terminal project has attracted fierce criticism from several organisations, including the Council of Engineers (CoE) and the Architects Council of Thailand, who claim the facility would be poorly located and veers away from the original Suvarnabhumi master plan drafted in 1990. The original blueprint says there must be two distinctly separate passenger terminals, while the shelved project seeks to build a second terminal adjacent to the current one. Work on the new terminal was originally planned to start next year and open in 2021. However, due to the flood of criticism, the AoT put the construction on hold late last year. 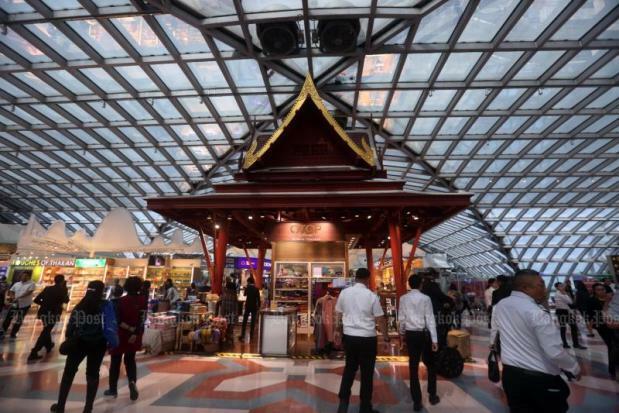 Mr Nitinai said details about the proposed Terminal 2, set to be built between Concourse A and Thai Airways’ maintenance centre, would be presented to the AoT board on Feb 20. Before then, the board will glean opinions from relevant parties, including the CoE, about the project, he said. If the CoE offers a suggestion that has significant implications on the planned project, new bidding may be called, the company AoT president said. “On Feb 20, it should be clear whether we can press ahead with Terminal 2,” Mr Nitinai said. He said it could go ahead, be scrapped, or changes could be made with a new round of bidding called. Mr Nitinai said the AoT is convinced that the National Economic and Social Development Board (NESDB), which is studying the project’s viability, would agree to the construction of Terminal 2 a the airport is operating beyond its capacity. DBALP Consortium, headed by architect Duangrit Bunnag, was awarded the contract to the build the terminal on Aug 22 last year despite plagiarism claims regarding the design.